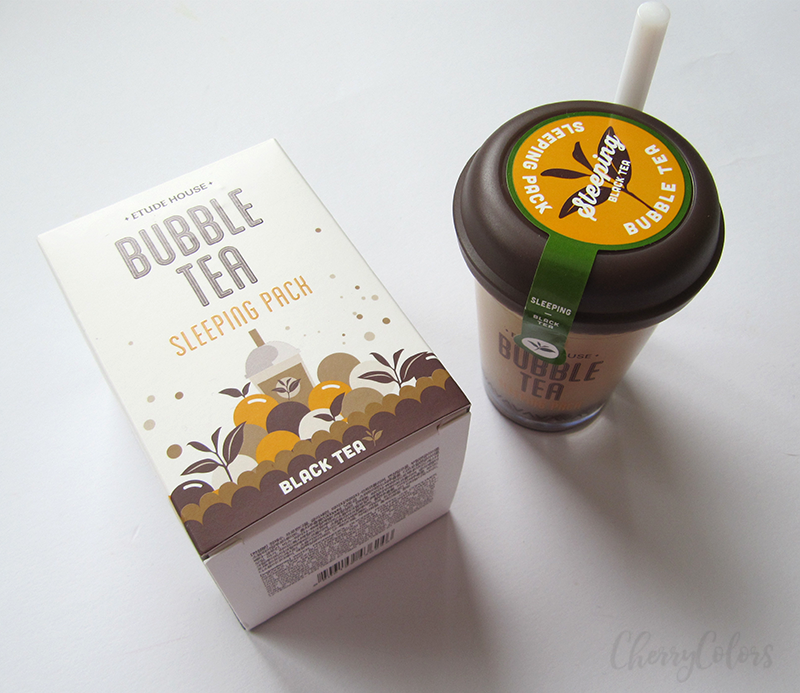 Etude House Black Tea Bubble Tea Sleeping Pack - Cherry Colors - Cosmetics Heaven! 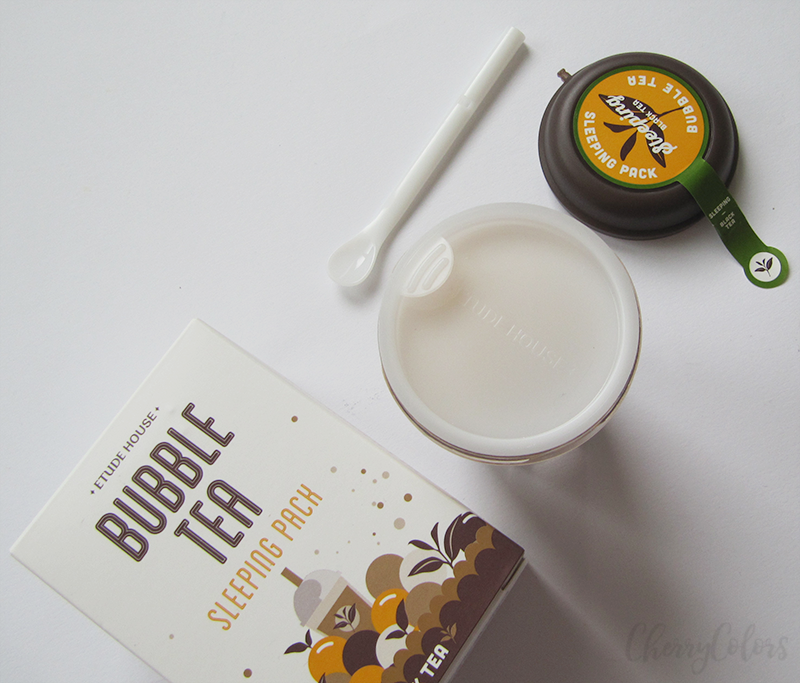 Today It's all about the Etude House sleeping pack. I am sure that everyone has heard about them if not even tried them. Today I'll talk about one of the most well-known Sleeping packs out there. But first, what are sleeping packs? As the name promises, sleeping masks (also known as sleeping packs) are a great way to intensely hydrate your skin as you snooze the night away. But, best yet, sleeping masks are only used once or twice a week, in place of your usual night cream. 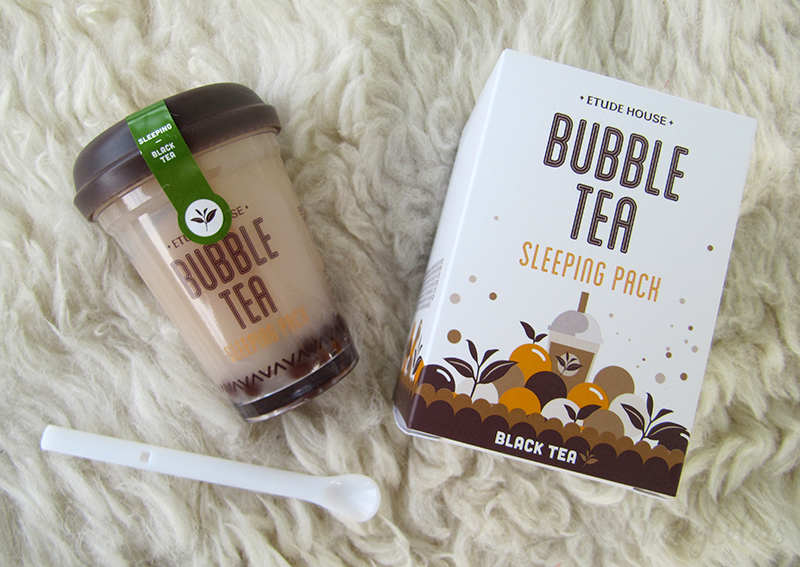 The Etude Sleeping packs come in three flavors - Black tea, Strawberry and Green Tea. 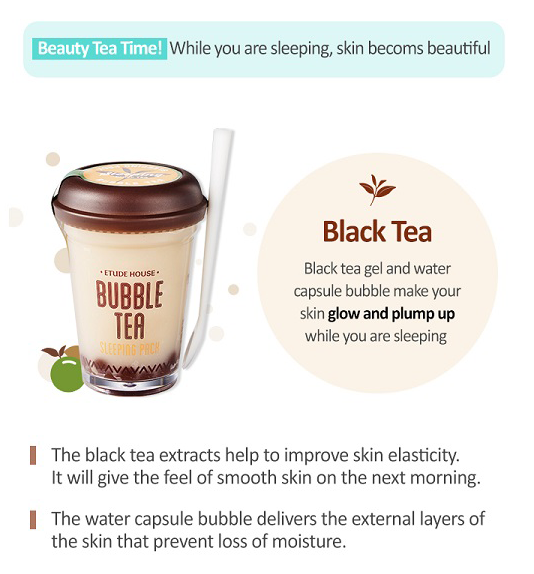 Mine is the Black tea Sleeping pack which means it's aimed towards adding moisture and elasticity to your skin. On the official answer, they said it's supposed to make your skin stronger and smoother. 1. Using the spatula, dispense gel, and 1-2 bubbles onto the palm. 3. Evenly apply on skin in a massaging motion to promote absorption into the skin. Tips! Use only gel depending on the condition of the skin. 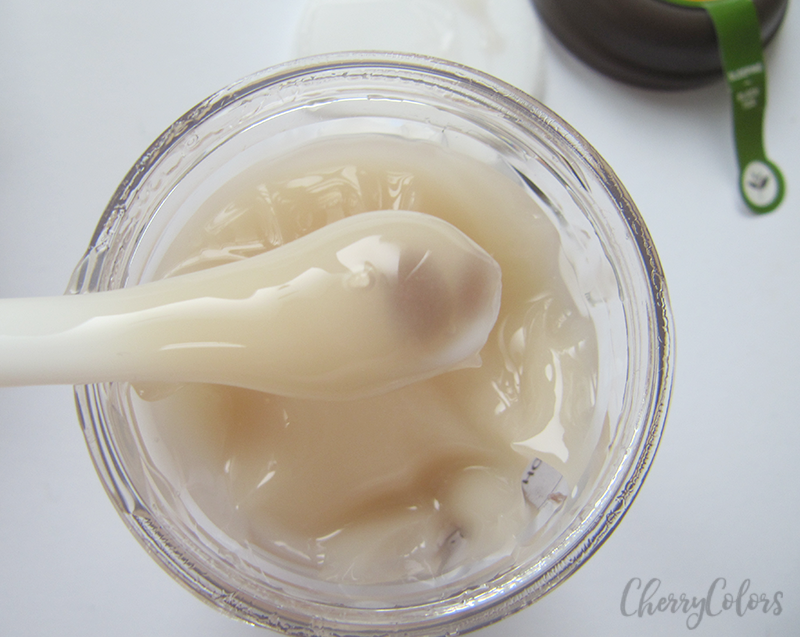 For better moisturizing effect, mix the gel with 1-2 bubbles. 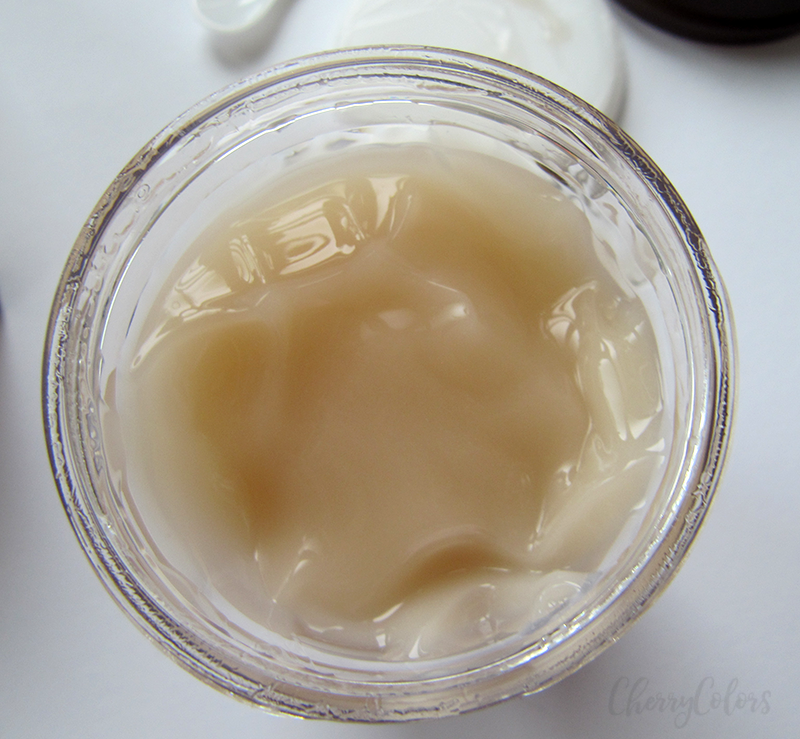 The sleeping pack is this creamy gel that smells nicely. 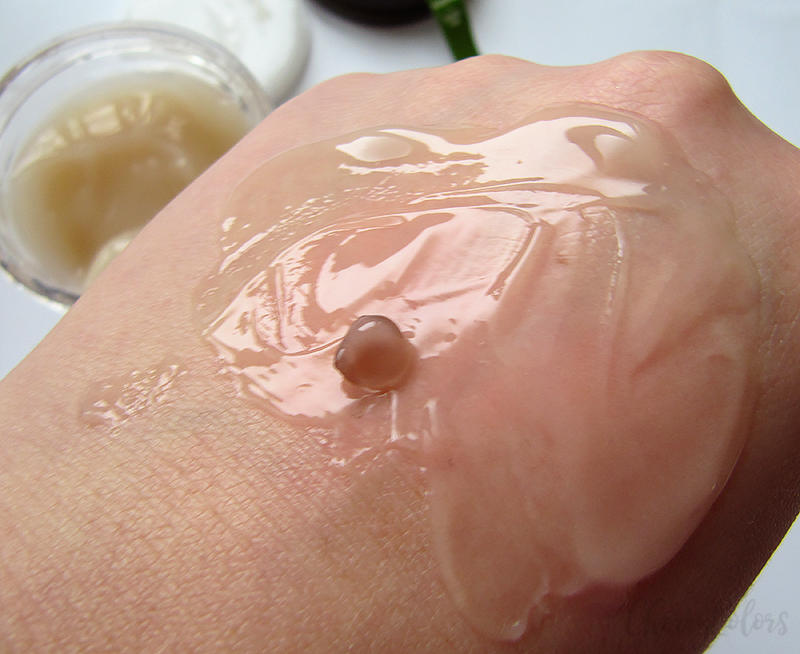 Inside there are some bubbles that are also pretty easily absorbed into the skin. The first time I used it, I broke out and I wasn't sure if it was because of the sleeping pack or something else. After my skin cleared up I decided to use it again. This time I had no negative side effects and also no breaking out! YAY! My skin was very plump the next morning and I love that! Now I use it whenever I want a boost of moisture to my skin and I am sad to see that I'm already half way to the bottom of the packaging. My skin is mixed with super dry cheeks in the Winter and an annoying oily T-zone. It's definitely a product that I love to use and I can see the effect the next morning. I think it's perfect for cooler months. I am especially a fan of the little spoon (spatula) that comes with it and makes the use and application so much easier. It's also very easy to clean and dry. Have your tried a sleeping pack?